This Gallery contains pictures, stories, and information about Memorials to Vietnam Veterans in the United States and elsewhere. Our goal is to build a separate Gallery for each and every Memorial. We are in need of information (history, dedication, location, etc.) and photos of these Memorials and depend on our viewers to supply those in their areas, as we have no funds or way to travel to or know about each one. Please contact the Squad Leader for this section, Bill McBride, at: bill@vietvet.org if you can help. The Vietnam Veterans Memorial; Washington, D.C.
Three, half-scale replicas of the Vietnam Veterans Memorial in D.C. travel around the country, spending about six days at each site and sponsored by a local organization. Includes a wonderful history and outstanding photos. Photos and background contributed by Andy Richmond. Australian casualties of the Vietnam War. Background information by Shane Fontana. Photograph provided by Bruce Johnson. Located in Long Beach, California. This Memorial was dedicated on Veterans Day, November 11, 2000. This page is an outstanding example of the power of the Web to convey a powerful and emotional message to viewers throughout the world. Thanks to "Country Joe McDonald" for his support of the Memorial and to Web designer Malcolm Humes. A 1955 Chevy racing car painted as a tribute to those still missing in Vietnam. Built and raced by Max Loffgren of Fairfield, California. Includes a personal tribute to Corporal Stephen E. Austin, USMC, KIA 6/8/68, by his brother, Allen. Pictures and description provided by Veteran Ron Fulks. Photos provided by Peter Young. The Canadian Vietnam Veterans Memorial located in Windsor, Ontario. This is a very nice set of photographs of the dedication ceremony. This photo was sent in by Wim van Wegen, a Dutch Marine ('70/'72) . We are looking for more information and pictures of this memorial. Pictures and descriptions of Memorials in Danbury, Granby, and Plainville. Links are provided for Memorials in New Fairfield. Contributions by James J. Mangi. Links to sites created by Thomas Monahan. The Pensacola Florida Vietnam Veterans Memorial. The information and pictures for this beautiful Memorial were provided by Art Giberson and Scott Hallford. Vietnam Veterans Memorial in Calumet City Illinois. Thanks to Michael "Doc" Klaff for providing the information on these two memorials. Located in Buffalo Grove, Illinois. The information and pictures were provided by Dennis Eveland. 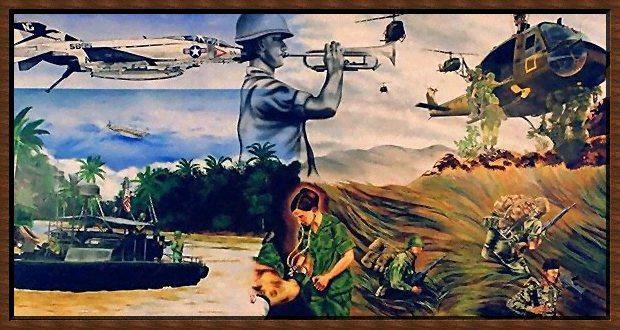 Thanks to Bill Schulte, Vietnam Veteran, for providing the pictures and other information. Located in Junction City, Kansas. Photographs and information provided by Jo Ann Wahrman and Don Melella. On the campus of Washburn University in Topeka, Kansas, honoring the 26 Washburn University students who were killed in Vietnam. Provided by Bill Schultz, USMC, Vietnam Vet. Photographs by Stephen "Rags" Ragle. Located in Middle Branch Park; Baltimore, Maryland. Photographs provided by Stephen Guilmet, USMC. Located in South Boston, Massachusetts. Background and photographs by 2nd Lieutenant Jason M. Pratt, USMC, and Stephen Guilmet. Photographs and background provided by David Perkins, USMC. The Monroe County, Michigan Vietnam Veterans Memorial The memorial is in located at Heck Park in Monroe, Michigan. The park is named in honor of Captain Norman "Rusty" W. Heck, Jr.
Information and pictures provided by Glenn Podhola, VVA Chapter 142, Monroe, Michigan . Located in Mt. Pleasant, Michigan. Information provided by Jim Jennings, Memorial Historian. Located just south of the State Capitol in St. Paul. A very moving epitaph on this Memorial! 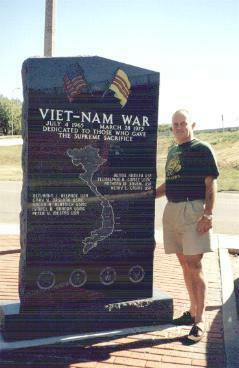 Visit Vietnam Veterans Memorials in Missouri. Photos and Narratives contributed by Michele Viehman. Located in St. Clair, Missouri. Located in Holmdel, New Jersey. Pictures and description provided by Michael E. Newland. The Vietnam Veterans National Memorial in Angel Fire, New Mexico. Stories by Steve Stickley, Ed St. Clair, John Rossie, Michael "V-man" Viehman, Dennis Koho,and Jim Belshaw, with the song, "Angel Fire," written by Mary Garvey. Photographs contributed by Steve Stickley, Ed Miller, and John Rossie. A beautiful Memorial honoring Vietnam Veterans from the Four-Corners area. Photos and descriptions by Vietnam Veteran, Roy Donan. Pictures and stories of Vietnam Veterans Memorials in New York State. Currently, there is an article on the memorial to PFC Garfield Langhorn in Riverhead, NY, pictures and information on the Hadley Memorial, pictures and background information on the Westchester County Vietnam Veterans Memorial at Lasdon Park, and links to Web Pages honoring the Rosedale, NYC and Rensselaer County Vietnam Veterans Memorials. Contributions by Barbaraellen Koch, Michele Viehman, Howard Berg, Jim Davey, Jack Cunningham, and Robert Fickies. The New Zealand "Roll of Honour"
Lists New Zealand Services Personnel and civilians who were killed while serving their country in Vietnam. This list includes one who served in the U.S. Marine Corps. Information provided by Allan Grayling. 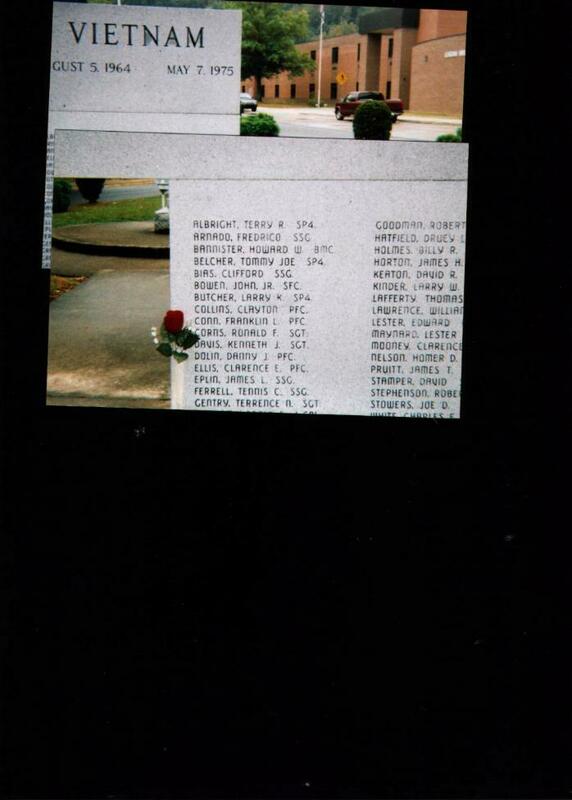 North Carolina Vietnam Veterans Memorials and Parks. Contains pictures and stories of several Vietnam Veterans Memorials in North Carolina. Located at Ft. Bragg, North Carolina. Thanks to Dave Shively for providing the images and text and to Ron Fulks for doing the formatting and letting the VVHP know this data existed. Thanks to John J. Buleza for submitting this information and pictures. Thanks to Todd Ashmore for submitting this. Thanks to Janie Garvey and Steve Robbins for bringing this Memorial to our attention and compiling the material and to Ray Argabright for creating the Pages on our Site for this Memorial. The Philadelphia Memorial is under heavy construction. Some of the links will not work yet. The Pittsburgh Vietnam Memorial Web Page is dedicated to veterans of all eras and provided by members of the 15th Artillery Association. Pictures and background on Memorials in Midland, San Antonio, and Big Spring, Texas, provided by Steve Dennis, Gil Dominguez, and Bill McBride. Pictures, articles, and other information provided by Walter Jones, University of Utah Library. Work in progress, several pictures loaded, background to follow. This gallery contains Veterans Memorials in the Country of Vietnam. Contributions by Joe Conte, Andi McKenna, and Terry Anderson. This gallery is dedicated to all of our living veterans and the 19 men KIA whose names are on our Memorial. Text supplied by Sam Thompson, President, Piedmont Chapter #752, VVA; and pictures supplied by Donna Judy Lathe, AVVA. The URL was provided by Terry Wood. Background and pictures provided by Andi McKenna and Chris Wachtendonk. Photo sent by Michael "Doc" Lerp.